If you are dealing with pain, you will know how important it is to find a practitioner who really listens – someone you feel safe with, and with whom you can have peace of mind that their treatment will not exasperate your pain. 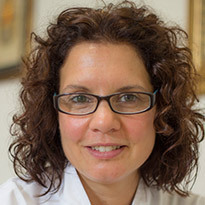 Dr Maria Madge is an experienced chiropractor working in Norfolk and Suffolk. She draws on expansive training in Sacro Occipital Technique (SOT Chiropractic) and a range of other methods to offer treatments that fit each individual patient’s needs. Having qualified as a Chiropractor in 2008, Maria has added to her training with courses in TMJ, Applied Kinesiology, Nutrition, Pediatrics and Birth Trauma. She has also completed a five-year course in Sacro Occipital Technique (SOT), which looks at the whole of the spine, the cranium and individual organs and helps to restore balance of the nervous system, improving general health and functionality.